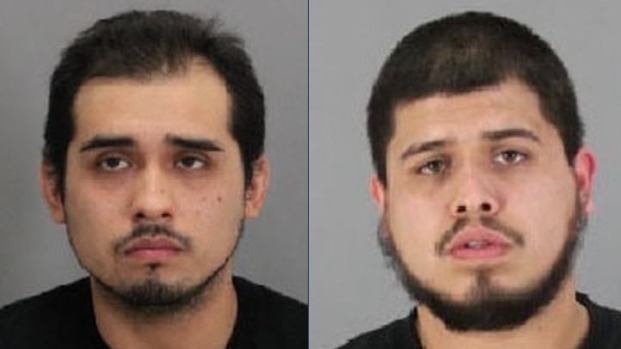 Seven gang members from East Palo Alto were arrested and booked into county jail on Wednesday as part of a yearlong investigation into hundreds of residential burglaries in San Jose and neighboring cities, authorities said Thursday. With assistance from multiple law enforcement agencies, officers served a total of eight search and arrest warrants in East Palo Alto and Newark in what was dubbed Operation Cruz Control. Thirteen suspects have been identified in the operation, and seven were taken into custody and booked into Santa Clara County jail on multiple burglary counts and a gang enhancement. During the searches, authorities seized stolen property, large amounts of cash, a firearm, burglary tools and ski masks, police said. 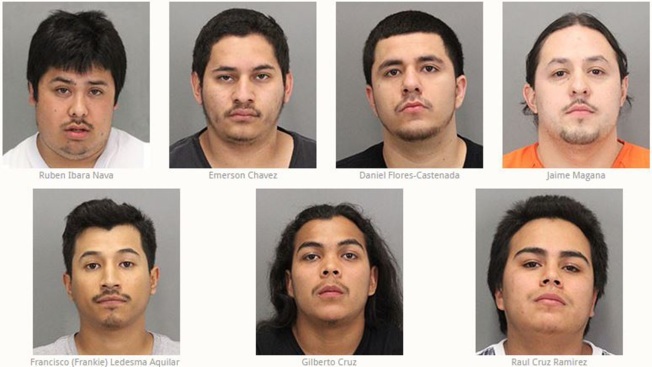 Arrested Wednesday were East Palo Alto residents Ruben Ibarra-Nava, 22; Emerson Chavez, 19; Daniel Flores-Castaneda, 24; Jaime Magana, 25; Francisco "Frankie" Ledesma Aquilar, 25; Gilberto Cruz, 19; and Raul Cruz Jr, 20. Flores-Castaneda and Magana already were in custody for unrelated crimes, police said. Two other suspects were still at-large: Miguel Chipres-Magallon, 22, of East Palo Alto and Gustavo Ayala Garcia Jr., 23, of Newark. Miguel Chipres-Magallon, left, and Gustavo Ayala Garcia Jr. remain at-large. Since 2015, the gang has been responsible for more than 200 residential burglaries, using high-end vehicles such as Porsches, BMWs and Mercedes while committing the burglaries, police said. The suspects have stolen firearms, cash, jewelry and electronics. Assisting San Jose police in Operation Cruz Control were the sheriff's offices of San Mateo and Santa Clara counties; the police departments of Daly City, East Palo Alto, Newark, Union City, Milpitas and Redwood City; the North County Regional SWAT team; and the U.S. Postal Inspector.